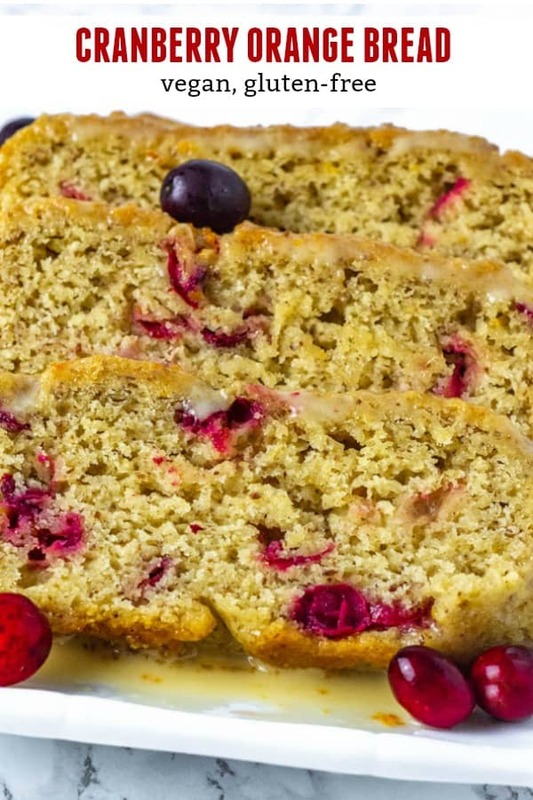 This Vegan Cranberry Orange bread is also gluten-free. It is moist with the perfect texture and blends of tart fresh cranberries and sweet juicy oranges. 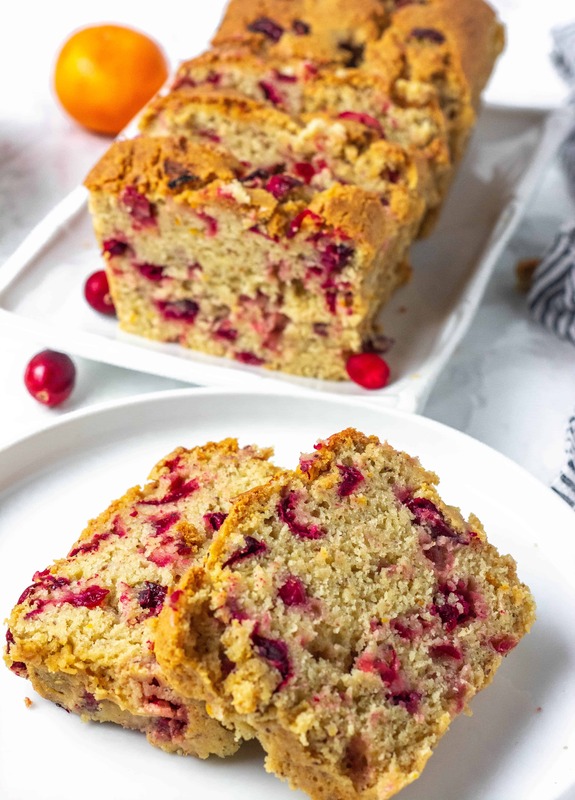 Easy cranberry orange bread can be made with or without the orange glaze, perfect holiday sweet bread for Christmas brunch. 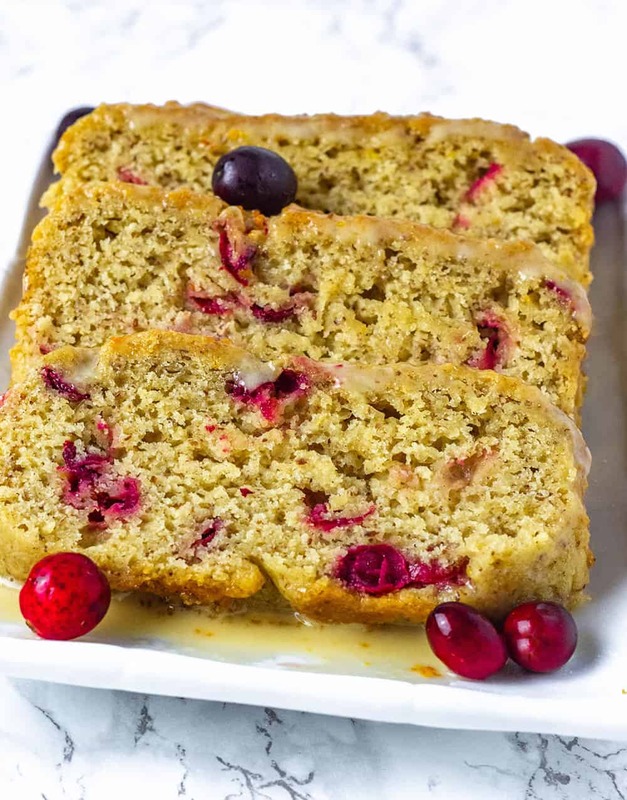 I made this Cranberry Orange Quick Bread recipe for Thanksgiving but I'm finally getting an opportunity to share it. Like my Blueberry Pineapple Bread, Strawberry Banana Bread, Lemon Pound Cake, this orange cranberry bread will be a big hit. 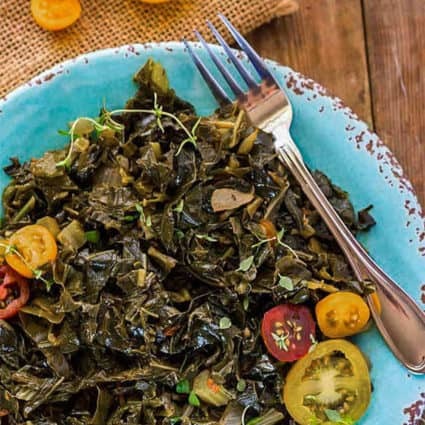 So quick and easy to prepare, I used Krusteaz All-purpose Gluten-Free Flour which is now my favorite store-bought blend. I added almond flour which leaves the perfect quick bread texture just like traditional versions. For sweetener, I used organic cane sugar but you can substitute with coconut sugar but your bread will be darker. I added ground flaxseeds to the orange juice and oil to substitute for eggs. I used fresh cranberries but I'm sure that dried cranberries can work especially when cranberries are not in season. 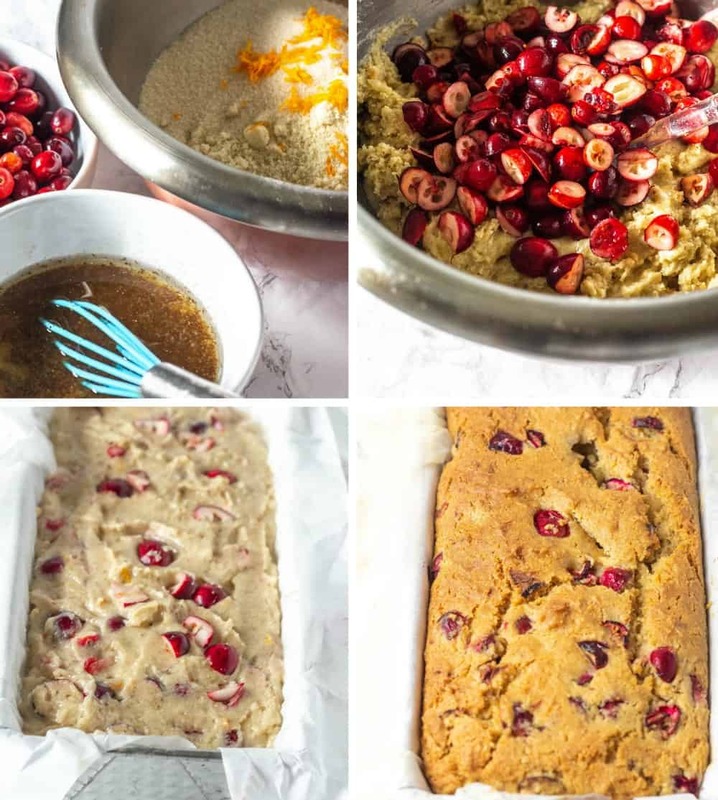 This is by far the best Gluten-Free Vegan Cranberry Orange Bread, the texture is amazing and the taste is just right, I added almond extract for flavoring and the orange glaze is totally optional. 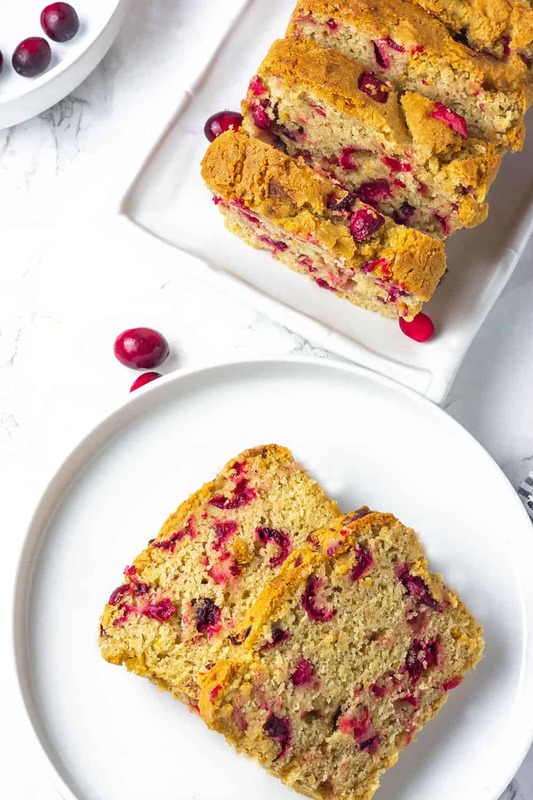 If you make this vegan Cranberry Orange bread, snap a photo and hashtag #healthiersteps — we love to see your recipes on Instagram, Facebook & Twitter! Preheat oven 350 degrees F. Grease a 9x5 baking pan and set aside. 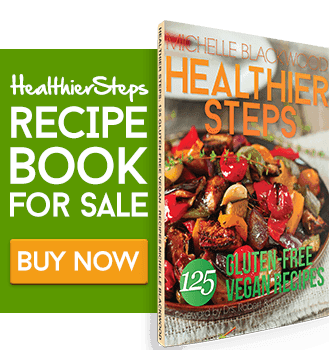 Combine gluten-free flour, sugar, almond flour, orange zest, baking powder, salt in a large bowl, stir well and set aside. In a medium bowl, mix orange juice, oil, flaxseeds, almond flavor. Add wet mixture to dry mixture. Fold in cranberries. 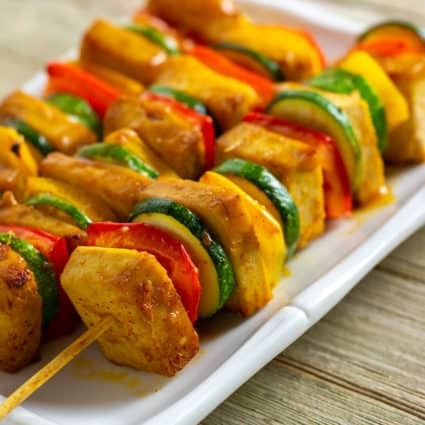 Scoop batter into prepared pan and bake for 1 hour and 15 minutes or until golden and toothpick inserted into the center comes out clean. Cool in the pan for about 10 minutes then remove to wire rack to cool completely. Whisk powdered sugar, orange juice and zest in a medium bowl. Drizzle over cranberry orange bread. Did you use fresh squeeze orange juice from oranges or store bought juice like Tropicana? I have used both since you need the zest then fresh would be better. I’m going to make it for Christmas. Thank you for sharing. 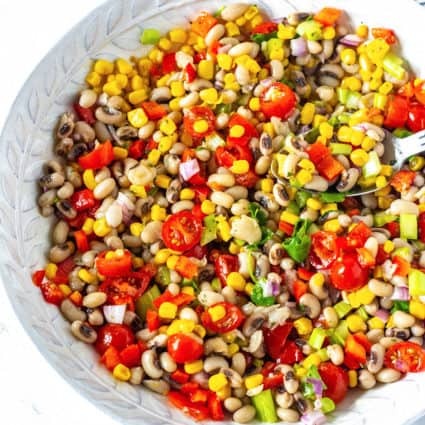 Can you substitute all purpose flour and regular sugar for this recipe? Dawna, I only tested it with gluten-free flour and organic cane sugar. Is the oven temp for a reg or fan oven? I have a fan oven ? Although my oven has a setting for convection, I don’t use it. So I only use the regular oven. Still, oven temperatures vary so bake until a toothpick comes out clean.